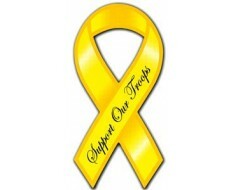 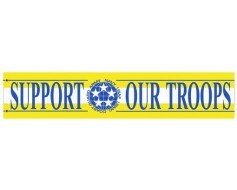 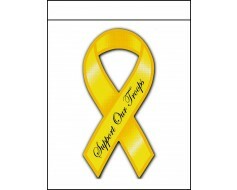 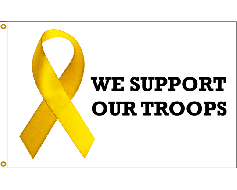 Support our troops yellow ribbon banner. 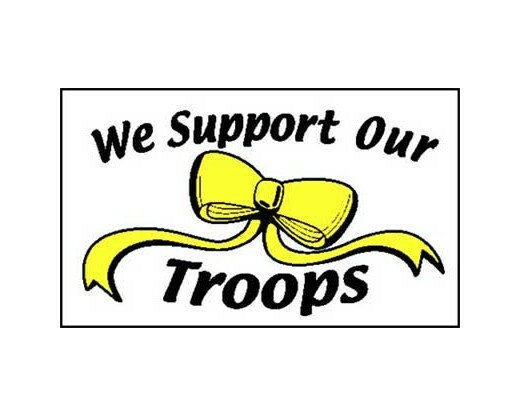 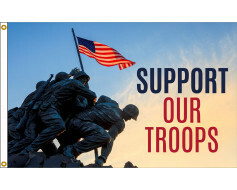 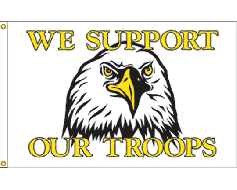 3x8" Support our Troops window cling for inside glass. 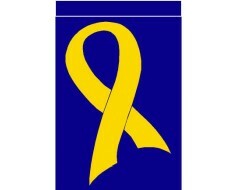 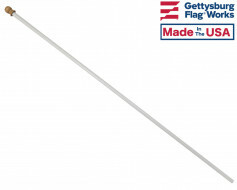 A yellow ribbon on a blue background.